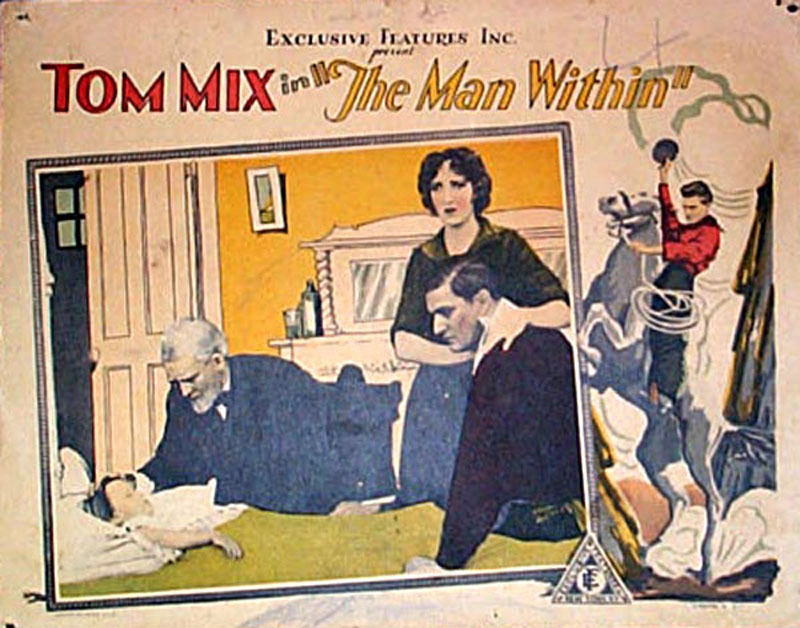 Lobby card for the 1916 film "The Man Within," a 3-reel short starring Tom Mix, along with Mix's then-mistress Victoria Forde (he would divorce Olive and marry Victoria in 1918), Pat Chrisman, Sid Jordan and Joe Ryan. Produced by Selig Polyscope Company, "The Man Within" was directed by Mix and written by Stanley Stedman. Released in May 1916, it was probably filmed in Las Vegas, N.M., where Mix was working for Selig prior to coming to Newhall in the latter part of 1916.